October 27, 2018 – At a press conference today, Energylandia revealed plans for their upcoming expansion in 2020. The new, large area will have a medieval fantasy theme, with a focus on dragons. 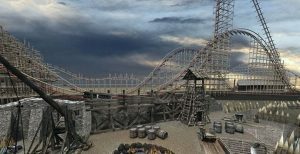 Its centerpiece of the area will be a large steel-tracked wooden coaster from Rocky Mountain Construction, named Zadra (“Splinter” in Polish). At 197 feet (60m) in height, Zadra will be the second tallest coaster ever built by RMC (behind Steel Vengeance at Cedar Point). Zadra will reach a speed of 71.5 mph (115 km/h), and feature three inversions along its 4,270 feet. (1300m) of track. 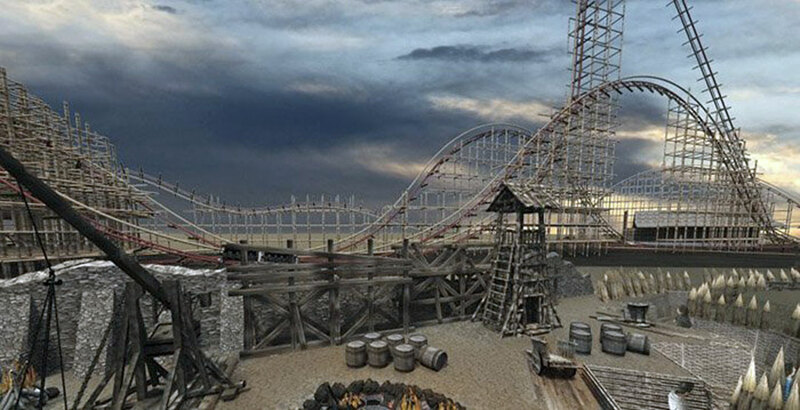 Rocky Mountain Construction is perhaps best known for their redesign and conversion of existing wooden roller coasters, but their portfolio also includes a handful of coasters built from the ground up. Zadra will most likely be built by Vekoma Rides Manufacturing, which is RMC’s construction partner in Europe. This arrangement was used when Wildfire at Kolmården in Sweden was built. In addition to Zadra, the new area in the park will house several new attractions: A dark ride, a Mini Monorail ride, a Junior Coaster (likely supplied by Vekoma, but this is not confirmed), a themed carousel and the usual marketplace for food, drinks and merchandise. All this is said to fall under phase one of the park expansion. Most details for phase two are still unknown. 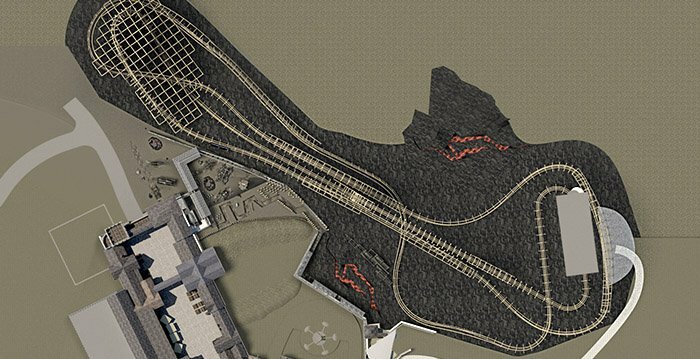 Some information has surfaced about a multi-launch steel coaster, supplied by Vekoma, but no detailed information has yet been released by the park. Read more about Energylandia’s expansion plans in our Forum discussion. This entry was posted in News and tagged announcement, Energylandia, Poland, rmc, rocky mountain construction, Splinter, Vekoma, Zadra. Bookmark the permalink.